Expected to ship in 4 days. The new Matchbook pickup addresses a long sought after need in this up and coming area of guitar and guitar amplification. 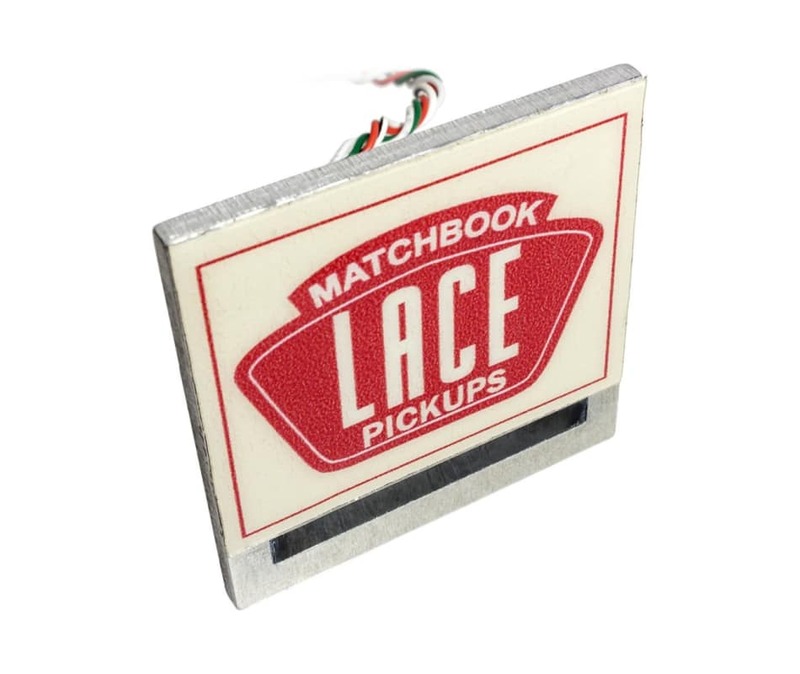 The Matchbook pickup is based on worldwide patented Lace magnetic design featuring a "current driven" design. This revolutionary design eliminates 60 cycle hum, and reduces the traditional magnet copper coil wire by 95 percent. No battery or other electronics are needed. Designed to resemble a full size average matchbook it has a visual as well as sonic connection to the Cigar box like no other pickup application available today. As with all magnetic pickups the Matchbook does utilizes magnets. And in this design one of the magnets appears to be the "striker" for a match. Overall dimensions are 2 inches by 2 inches, less than .250 inches tall as installed on the box top.